Andrew Bain finds a potted version of Vietnamese traditions in the concentrated maze of the city's Old Quarter. Hanoi's Old Quarter is like greater Asia condensed into 50 or so streets: tight, narrow, noisy, choked with traffic and entirely intoxicating. 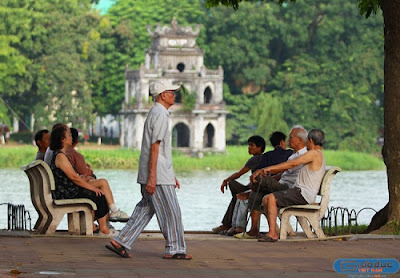 Though many of the city's major tourist attractions - Ho Chi Minh's mausoleum, the Temple of Literature, One-Pillar Pagoda - hover outside its fringes, it's inside the maze of Old Quarter streets that you really feel the heartbeat of Vietnam's capital. The oldest district in an old city - Hanoi celebrated its millennium last year - the Old Quarter originally sprang up around 36 guilds, each one filling a street, as reflected today in the names of the streets. And though few streets remain true to their origins, traders still huddle in collectives: button stores here, scooter resprays there, torches and lamps around the corner. 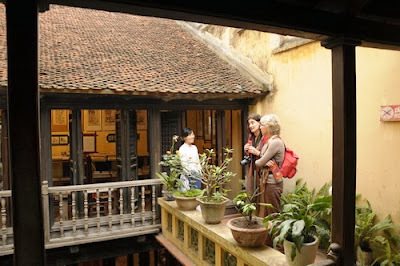 If your time in Hanoi is limited, or you're looking to orient yourself for a day, it's worth confining your time to the sensory sensations of the Old Quarter. Before dawn the Old Quarter's streets might be empty but the paths around Hoan Kiem Lake - the calm nucleus around which Hanoi swirls - are full. Every tracksuit in town is here, at the edge of the Old Quarter, limbering up for the day among the banyan and flame trees, performing statuesque tai chi or walking circuits around the lake. Get into step with the crowd with a stroll on the lake shores. Watch as the Old Quarter morphs into the colonial architecture of the French Quarter, providing a glimpse of another Hanoi. Expect curious scenes for such an early hour: games of badminton, aerobics, ballroom-style dancing. As I walk, a man rides past on a bicycle, arms folding into tai chi poses as he pedals. Having walked up an appetite, there are two good prospects for breakfast. Ngo Hang Hanh began life as the street of onion sellers but is today considered the Old Quarter's coffee street. 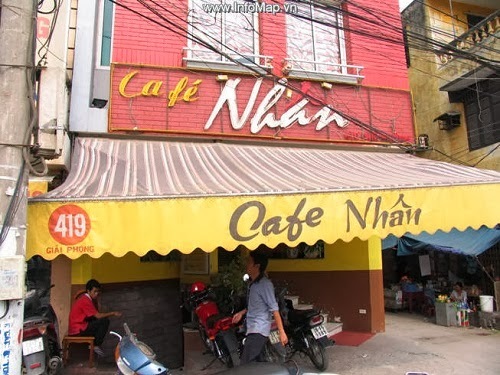 Here you'll find Cafe Nhan, filled mostly with locals. The coffee is as thick as the Hanoi air and, if you're lucky, one of the four small balcony tables on the third floor will be free. From here, sitting among power lines woven into dreadlocks, you can watch the morning bustle below. A couple of hundred metres away, Highlands Coffee is perched three storeys above the Old Quarter's main intersection. It's far from a local experience - think Starbucks with a Vietnamese accent - but it's a rare chance to view the traffic without fighting in it. At this height it's almost hypnotic, with vehicles from five busy streets somehow merging seamlessly. Cafe Nhan, 39 Ngo Hang Hanh. Highlands Coffee is above the roundabout on Dinh Tien Hoang, beside Hoan Kiem Lake. After breakfast, walk up Hang Dau and Hang Be to get a sense of the Old Quarter's changed function. Hang Dau - Beans Street - is now lined with shoes, while the raft makers of Hang Be have long made way for a raft of travel agents. Note the narrowness of the houses, resembling books on the shelves of a library. To see the inner layout of these homes, visit Memorial House, restored as an example of old Hanoi architecture. Behind the dark-ironwood facade, artisans display traditional arts and handicrafts, from marble jewellery boxes to hang trong - paintings that were once one of Hanoi's 36 guilds but now a tradition upheld by just one artist. Memorial House, 87 Ma May. Entry 3000 dong (15¢). Open 8am-5pm. Cross to the western side of the Old Quarter to explore some of its most vivid street scenes. 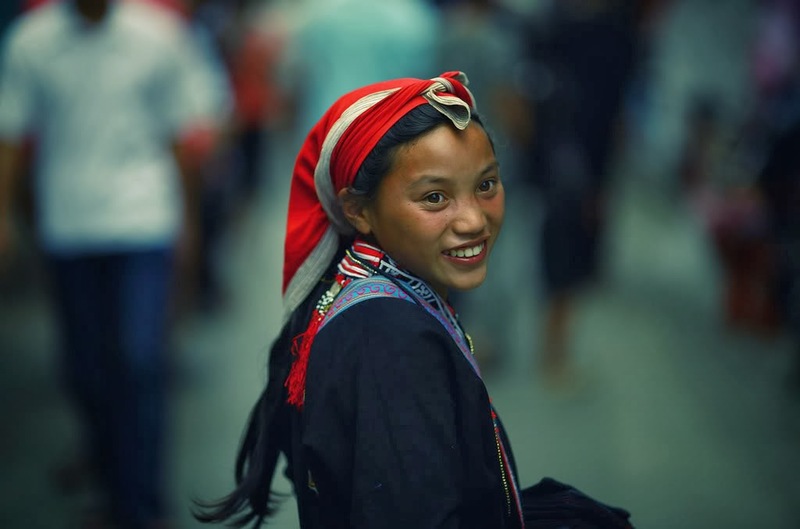 Hang Gai retains its origin as a street of silk, while Luong Van Can is awash with toys - everything from dartboards to Barbies to life-size teddy bears. Turn the corner and it shifts from the colour of childhood to the colour of death, with Hang Quat aflutter with funeral flags and religious items. Just north, Lan Ong is full of natural medicines, including such "treats" as longevity mushrooms and dried sea horses. On the western edge of the Old Quarter is the ever-popular Quan An Ngon restaurant, its large outdoor courtyard lending a modern spin to the street stall-eating experience. 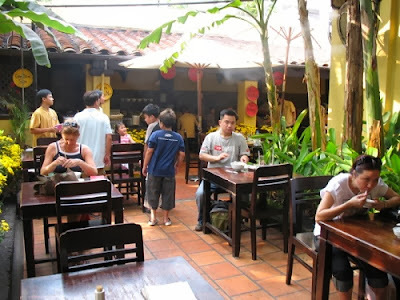 Various open kitchens form a ring around the courtyard and the restaurant has a reputation for producing some of the best food in the city, despite the food- court appearance. 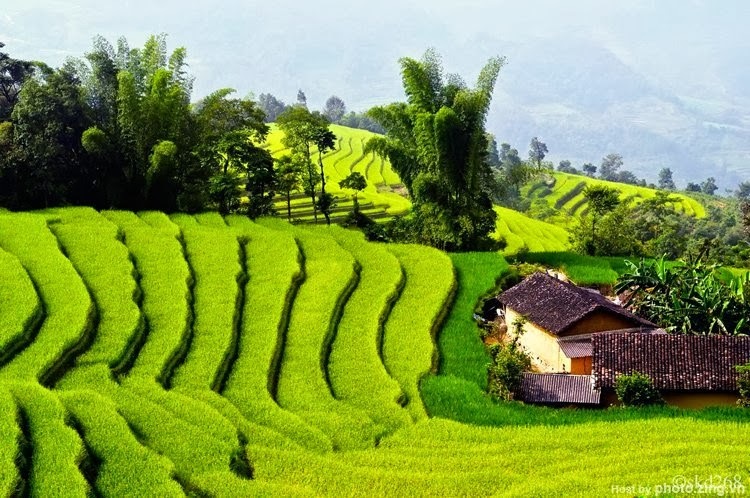 Quan An Ngon, 18 Phan Boi Chau. Open daily for lunch and dinner. At the northern edge of the Old Quarter, the enclosed Dong Xuan market is said to be the oldest and largest market in Vietnam. It's as much a warren as the Old Quarter itself, rising three storeys. Among the bustle is a food section that seems to encompass every animal species that ever roamed the continent or swam the seas. 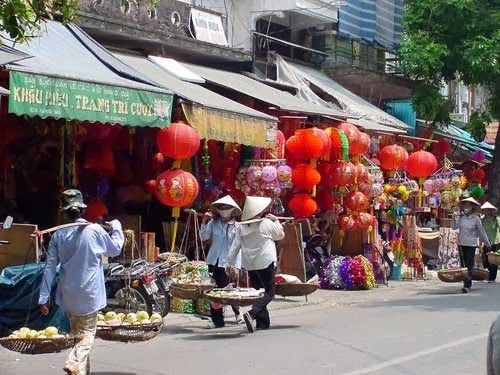 After visiting the market, wander out through the adjoining Thanh Ha street, a market area where traders are likely to be mashing up snail shells to eat alongside other delectables on sale here, such as live frogs. It's as much a snapshot of Asia as the women squatting to play cards by the temple entrance. Dong Xuan market is open daily 7am-6pm. For an afternoon rest with a local flavour, there's always bia hoi, a home-brew beer pumped straight from the keg. Like everything in the Old Quarter, even bia hoi has its clusters of shops. At the junction of Dinh Liet and Luong Ngoc Quyen, three bia hoi bars stare across the intersection at each other. Pull up a plastic stool onto a sliver of footpath - or on the road - and enjoy a front-row seat on Old Quarter life. The beer isn't boutique: it's light in flavour but goes down easily and, at 4000 dong a glass, it's a fraction of the price of bottled water. If there's one good reason to leave the Old Quarter, it's KOTO. Run by an Australian-Vietnamese entrepreneur, Jimmy Pham, KOTO is part restaurant and part philanthropy, employing and training street children and staff. The menu includes Vietnamese dishes (pho xao bo, marinated tofu and so on) and Western comfort food (burgers, fish and chips). The restaurant has seating on four storeys, offering views into the neighbouring Temple of Literature. KOTO, 59 Van Mieu. Open for dinner every night except Monday. Back beside Hoan Kiem Lake, the Thang Long Water Puppet Theatre offers a unique show that has toured the world. 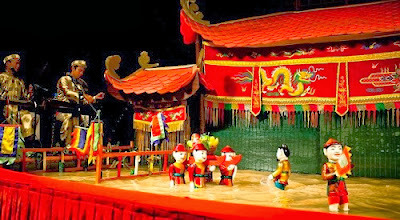 Based on a 1000-year-old tradition in which north Vietnamese farmers performed puppet shows in flooded rice fields during the monsoon, the theatre features puppets on rods that seem to float atop a waist-deep pool. Set to live music, the story includes fighting water buffalo, a frisky dog, fire-wielding puppets, puppet love and, finally, a carp that ascends to heaven as a dragon.